Today I went to the movies with my kids to see “Beauty and the Beast”. A well-known fairy tale about a beautiful woman’s love transforming a monster back into a beautiful king. A lovely fairy tale, isn’t it? Many of us have experienced though, that regardless of constantly kissing the frog he isn’t turning into a prince, so why is that? This movie reminded me something that we teach in our at Tantra workshops – transfiguration. The concept of it comes from Christianity and the story of how Jesus took his disciples to Mount Tabor and revealed his divine essence there. Our divine essence resides in all of us, but due to how we’ve been raised it doesn’t really show and we don’t know to see or search for it in others. It’s always easier to judge. The principle of transfiguration is to look and feel the other person with your heart, not with the eyes, not through the hundreds of filters our mind has put there. There is no Tantra without transfiguration. This implies seeing your companion’s pure soul, as the soul always remains pure. There is no ego on soul-level. This implies seeing the goddess in each woman and godhood in each man. Those who dislike the word god may replace it with Universal Feminine & Masculine Energy. ​​Transfiguration explains how the way we perceive life or other people will become our reality. When we see everything in dark tones, it will be reflected to us in our daily lives. Each situation and person actually holds pure divine love inside. And through that love, through opening your heart and stepping into conditionless pure love, everything in your life can be changed. The movie “Beauty and the Beast” carries this message clearly, so why is it so difficult to apply it to daily life? Our inner world starts forming in our childhood, a period that has been difficult for many of us. 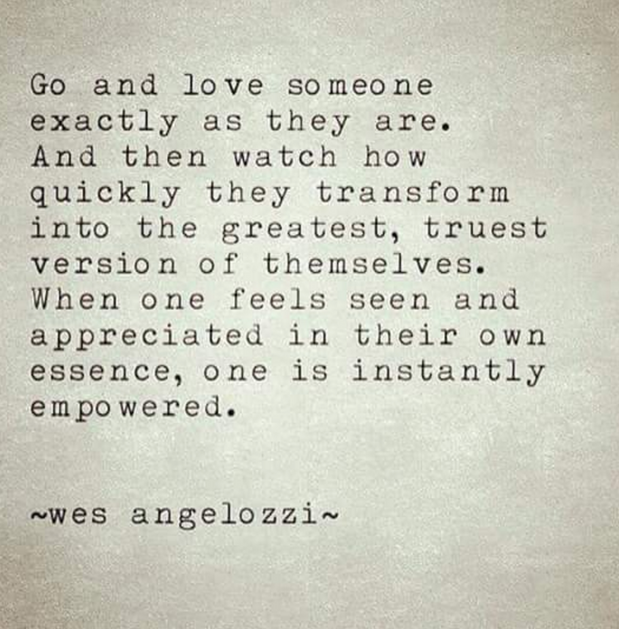 This is also the starting point for one of our primary values that we need for loving others and that is self-love. Why I say “at first” is because the Universe has a tendency to test us. If I actually wish to open myself completely and surrender to unconditional love, then I need to go through a test to see if my change is true or superficial. One of the highest goals of Tantra is to reach love that comes from the heart. The feeling that most people consider to be love does not come from the heart by far. It mostly comes from our second energy centre. The love that wants to own and control and that holds a lot of this kind of attitude: What do I get from it? Love that comes from the heart does not set any limits and is trust. Love from the heart says that I am happy when You are happy. The background we’re coming from doesn’t let us step into this love very easily. We have been hurt in this life and our ego is here to protect us from that hurt and thus keeps us in separation. This story speaks of the power of love. Here lies true power, especially in women. I always tell my female clients to step into their true feminine power that opens up through love. It is the most powerful force in this world; it can move mountains and men easily. When people start their journey in Tantra then quite soon there appears a phenomenon that might turn their former lives upside down. Namely all that is in You that doesn’t serve You anymore and what interferes Your path of stepping into pure love starts surfacing. All the fears that lay the base for other negative feelings like anger, rage, jealousy, etc. will come forth. For all who don’t acknowledge this, the relationship might get so difficult that they don’t understand what is going on anymore. And what is going on is the time of facing yourself. You perfectly reflect to your partner who they are and they reflect You back to yourself. Oftentimes facing yourself is so difficult, that it’s easier to run away. The storm will calm down, but because there has been no change then the whole process will start again in the next relationship or one might live in ignorance and bury all of it. This usually leads to serious health issues. This is the most important moment, the moment where love enters and enables to change everything. The beast becomes a prince or a princess. It doesn’t matter if only one side of the relationship or both together are able to come out of their fears and free themselves of their pain to heal together and step into pure love healthy and whole. When it is the most difficult, you’re presented with two options: either walk away or start looking at your partner transfiguratively, looking at the partner with your heart, without any filters. Setting aside all my pain that is in me and trusting that this journey is safe for me. Knowing, that even if I’m hurt again it will only take me closer to unconditional love and freedom in my soul. When you step up to your greatest fear then through that You gain Your freedom. It’s not easy and demands extensive effort and lots of dealing with yourself. It is important to look for help in the right places and not to fear of asking for help. Only the strong are brave enough to ask for help. People who have been hurt themselves will end up hurting others. It’s an endless cycle that can be broken only by awareness. It needs daily conscious work with Yourself. Instead of running away from a relationship it is better to at first stay put and give your everything to make steps towards true love. When your partner doesn’t follow, but You are able to complete the change within then you’re free to go and experience something that is in harmony with Your inner world. Don’t forget that all our life experiences that await us end up equalling what is going on in our inner world. If we don’t love ourselves and don’t believe that we deserve to be loved by others then that is the experience we will get daily. For as long as You get tired of it and know that it is time to step out of this cycle and start loving yourself so that You deserve only the best in life. Never believe someone who tells you otherwise. You are always the most important and it is safe to break down your barriers to let pure love in. We all yearn for this pure love, but it can never reach us if we’re defensive and have surrounded ourselves with strong barriers. In that case we won’t even recognize love if we bump into it. Why is it always in fairy tales that the woman saves the man with her love? Because this is one of the wonderful opportunities and powers given to women: to open the heart and the soul of their prince through pure unconditional love. This is one of the greatest gifts you can offer You man. When you go home tonight and look at your partner, think about the things that irritate you and what might be the places that just need pure love. Be empathetic and analyse how to give him more. St Francis said: it’s through giving that we receive. The more you start giving love, the more you start feeling love and receiving love. Great patience is needed at first and a sincere wish to change Yourself. The beast is not our partner, but everything that is in us that is not love. When a woman wishes to open their femininity, then one really powerful practice is to transfigure their man into the all his amazingness that he is. Seeing him only through your heart and starting to carry that message to him in words daily. When you praise someone each day then soon enough they will want to be the way they are seen. When You tell him that he’s an ugly fat drunk, then that’s exactly what he’ll be. When You tell him how beautiful and wonderful he is, then that is what he’ll become. I know there are moments when it’s really hard to find something good. Keep looking, surely there is something and start with the little things. There can never be enough praise and caress! Don’t hold back with praise, but be very careful with blame. This story is not meant for only women to realize, even though they have more power for actualizing it. When Your partner does 10 things wrong and one thing right…..praise him for that one thing and forget about the ten things he did wrong. The same goes for men. Love your woman to a Goddess and you’ll see how Your life will change. A small truth from the cartoon “Rio 2”, “Happy wife, happy life:)”.